New York barstool has a minimalist design with a seamless look that lends a luxurious feel to a variety of modern spaces. It features brushed stainless steel frame for years of dependable use and a full grain leather seat upholstery with contrasting seams. 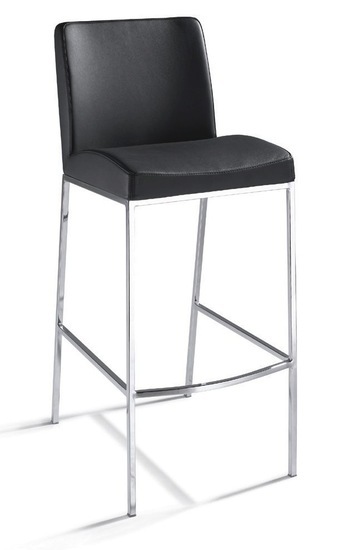 New York barstool's padded upholstery gives you comfort that goes above and beyond what you'd expect.